Whether you’re looking to keep your school, hospital, enterprise business or metro area connected, we provide fast, reliable Ethernet connectivity backed by an honest, trustworthy reputation. Create an optimal learning experience, reach goals and stay connected with our GigE+ Fiber Optic Network. Get connectivity for multiple locations or immediate access when you need it so your medical staff can quickly serve patients. A reliable, secure and efficient enterprise network infrastructure at a reasonable price point is hard to find. Look no further. 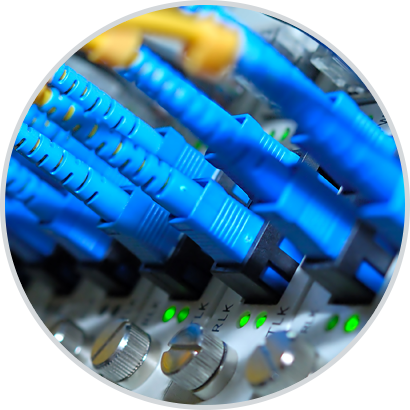 With a history of carrier-to-carrier, fiber-based services, we are the choice for reliable, secure and scalable networks. Our dedicated internet access, supported by round-the-clock network operations center, will put you a step ahead of the competition. We have extensive experience with high-performance voice, switching and routing technology to support IPTV/CATV networks. From cities to small towns, we are committed to delivering broadband connectivity to residential and business customers.